tagi is using Smore newsletters to spread the word online. 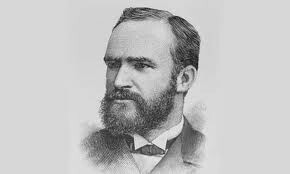 Melvil Dewey (1851-1931) created the Dewey Decimal Classification system as a way to organize library materials in a time where there was no uniform system used in libraries. Dewey introduced his system in 1876 and is currently in its 23rd edition. The Dewey Decimal Classification system is so popular because of its flexibility, simplicity, consistency, and remains a widely used organizational tool in libraries. The Dewey Decimal Classification system classify books (entire world of knowledge) into ten main classes. These classes are further broken down into ten divisions and each division is divided into ten subdivisions or sections. To further describe The Dewey Decimal Classification system, it contains ten main classes, hundred divisions, and thousand sections. But not all the numbers for the divisions and sections have been used. Classifying a work using The Dewey Decimal Classification system requires determination of the subject, a skill any librarian need to master. This can be done by paying attention to simple things; like the title which is often a clue to the subject. The table of contents also can be used to determine the subject because it lists the main topics discussed. Another way is looking at the preface which usually states the author's purpose. Bibliographical references and index entries are good sources of subject determination. The Dewey Decimal Classification system created a revolution in library science where Melvil Dewey became a pioneer in library education and well deserved the title of “Father of Modern Librarianship.” Just like any classification system, The Dewey Decimal Classification system has its own advantages and disadvantages. A big advantage of The Dewey Decimal Classification system is that it is universal because of its numerical notation. different countries means different languages (alphabets), but because The Dewey Decimal Classification system is based on Arabic numerals it is used throughout the world. It is actually used in over 135 countries across the globe, and it exists in more than thirty languages according to Online Computer Library Center (OCLC). Because The Dewey Decimal Classification system is the same at every location, patrons all over around the world know where to locate an item in every public library, regardless of location which is a huge advantage of this system. Another advantage of The Dewey Decimal Classification system is that books are classified according to broad subject categories. Meaning it is easy to find books that are specialized in certain field since all books are categorized under the same section of the library. Furthermore, by using The Dewey Decimal Classification system a researcher can easily indicates whether a certain book or a document is general in nature or highly specific. This can be done simply by looking at the length of the number on the label; the longer the string of numbers, the more detailed the contents. On the other hand The Dewey Decimal Classification system, just like anything in this life, is not perfect. The most logical disadvantage that comes to someone's mind is the long label number. Some people are intimidated by the label number because it makes them feel less intelligent. In an online survey done by Fister (2009) in her journal The Dewey Dilemma, more than 66 percent of public librarians acknowledged that many patrons don't understand or are intimidated by The Dewey Decimal Classification system. If adult patrons find The Dewey Decimal Classification system complicated imagine how young patrons feel! Eaton (1991) in his research Lost in the Library: Are Spatial Skills Important in Shelf Searches? found that The Dewey Decimal Classification system requires certain skills and cognitive abilities that develop with age. These skills and abilities include counting to 999 and working with decimal numbers, which are learned in school, thinking of information in terms of related categories with divisions and subdivisions, and locating items in real space. Another obvious drawback of The Dewey Decimal Classification system is the assumption that all books (knowledge) can be conveniently divided into divisions of ten, no more and no less. Adding to the problem of division, books in The Dewey Decimal Classification system are organized by subject, rather than by topic. Meaning that some books may fall under more than one category and it is up to the librarian to do the classification, that can make some books difficult to find. Furthermore, changing in fields and even new fields are almost accruing every day The Dewey Decimal Classification system is not very appropriate for some of these certain fields of study. 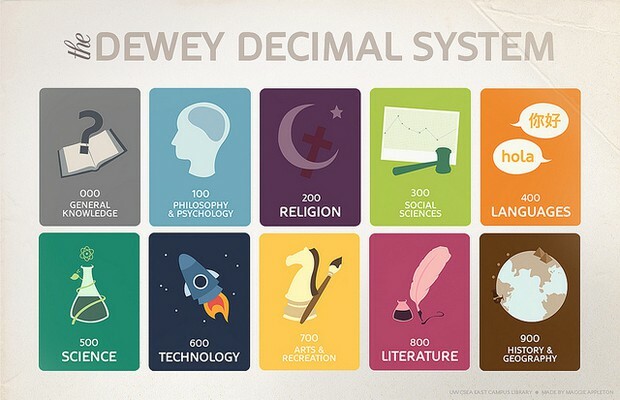 A particular concern regarding The Dewey Decimal Classification system and can be seen by some people as a huge drawback, is Dewey's bias when he created his classification system. Of the hundred numbers set aside for topics concerning religion, 88 are reserved for Christianity. Lynch and Mulero (2007) elaborate further noting that, “…Dewey had a strong classification bias when it was created. There was an emphasis on topics like Christianity and American history, for example, and not enough on Eastern religions and on history outside of the American experience.” This bias is true and real, but any product at any given time is the product of the time period it was created in and Dewey's system is a good example of that. Beside The Dewey Decimal Classification system has changed over the many revisions it went through all to address such biases. 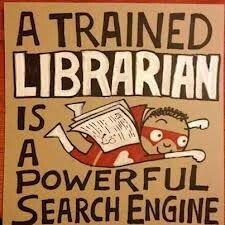 If I was a media specialist I will follow The Dewey Decimal Classification system simply because I like it! Now why I like it? Dewey seems like a neat and organized person, he loved classification and spent his entire life reconstructing his system. Even with the bias in Dewey's system, I believe that Dewey's system did not intentionally ignored other religions. Beside, the system has been revised many times to address this problem. I love to organize everything in my life, I love sorting things, and I love to follow certain orders when doing these things. I believe that Dewey's system is a great system and the fact that libraries all over around the world still follow Dewey's system is enough proof how successfully this system is. Some people may consider Dewey's system as confusing and hard to follow specially for young patrons, but I think Dewey's system teach these young patrons critical thinking, a skill that children need to master. Did you know that Melvil Dewey is the youngest of five children of low-economic parents. His father was a boot maker and his mother was so religious which reflected on Dewey's sense of justice that marked him throughout his life. Gale Eaton, Lost in the Library: Are Spatial Skills Important in Shelf Searches? Journal of Youth Services in Libraries 5 (Fall 1991): 77–86. Lynch, S. N., & Mulero, E. (2007). Dewey? at this library with a very different outlook, they don't. New York Times, , 7. Why is it important to have a MARC Record compatible automation system in your SLMC? How is this related to outsourcing the cataloging of books? Have at least one link to a company that does book cataloging. It is important to have a MARC Record compatible automation system in any school library media center. MARC Records enable computers to interpret bibliographic information related to books which makes it easy for media specialists to locate and categorize any library material. When the school media specialist use an automation system that is compatible with MARC, the library record becomes more uniform (because MARC allows any system to use the same record), and cataloging becomes more easy and less time consuming. This is true because MARC record is a precise description of an item, this is why MARC record is more useful in automated systems than any other record. Beside MARC record is very flexible for individual libraries because it provides standard format: school library media specialists can add their own call number, notations, etc. 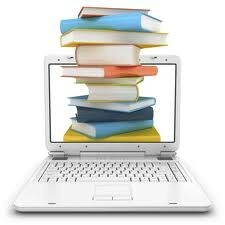 School library media specialists can send brief MARC records to the vendor, which then provides full catalog records. This procedure is a big time saver that allows school library media specialists to spend more time on improving their libraries or work with students. Book cataloging service is more popular now than ever, many Web site and companies provide such service with different costs and options. Collectorz.com is a company that provides a cataloging software. The standard edition costs $29.95, and the Pro edition costs $49.95, for school libraries the Pro edition is a much better choice for the added features that come with this edition. Library collection mapping is the process of examining and evaluating the library collection. A collection map is a visual description to the automated catalog system: it is like a graphical representation of the collection that shows its strengths and weaknesses. Collection maps are used to evaluate and measure the library collections to show the effectiveness of the collection in many different ways such as: showing strengths and weaknesses in the collection, evaluate whether the collection matches the curriculum focus, planning for future decisions, planning a budget, suggesting areas of weeding, and much more. The media center in any school should be integrated as part of the school curriculum where the media specialist participates in the curriculum development team. The media center should be able to provide a learning environment that is inviting, comfortable, collaborative, flexible, clean, and user-friendly. School media centers should be globally and socially connected, where students and faculty can easily explore ideas, interests, and continuous learning. In the school media center, there should be virtual and physical access to information and technologies with proper instruction and consulting assistance. Moreover, the media center should create activities and programs that contribute to lifelong learning while at the same time accommodate a wide range of differences in abilities and learning styles. As far as the media specialist, there should be an open communication and collaboration between the media specialist, students, teachers, parents, and school administrators. The media specialist needs to ensure that students and staff are active users of the media center by ensuring that they have regular updates about the media center programs and new acquisitions. The media specialist should always keep an open mind and be politically savvy when it comes to the media collection; the media specialist needs to involve teachers in the selection of materials to be purchased and equipment. The media specialist should always keep her/his self updated to new technologies and methods related to school media centers by attending school media centers' workshops and conferences. To have an ideal successful media center, the media specialist should wisely plan and spend the media center budget and always look for other fiscal resources. An important contributor in any media center is the advisory committee; the media specialist should create one and respect and collaborate with each member in the committee. Finally, the school media center should embrace one philosophy; any school media center mainly exists to enrich and support students' academic outcomes. Thus, school media centers should foster an environment of learning that eventually leads to high academic outcomes and achievements, self-independent learning, critical thinking and problem solving skills. By providing tools, programs, and resources (both physical and virtual). By teaching navigation skills and encouraging exploratory conversations. By maintaining and improving the quality of education for all students by providing resources that enhance and contribute to academic outcomes. By keeping frequent communications and providing frequent updates to all students, teachers, parents, administrators, and community. Here is a link to a blog by Susan Maclntosh, where she discussed what an ideal school library should looks like and even created her won floor plan.